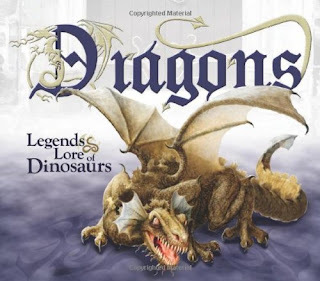 Being a Christian homeschool Mom I realize the vast amount of resources available for my children to learn about Dragons and Dinosaurs. Most I open and read .. millions of years ago, and immediately put aside. I was excited to review this book for New Leaf Press to see what they would do from a Christian Perspective. This book is a beautiful hardback book with lift the flaps, mini books inside, fold out pages, and facts based on the Word of God. From page one the authors encourage the reader to look for the truth about Dinosaurs and Dragons as one of the many creatures made by God. With that, I was able to pull my young ones close by and read the book to them. The book has legends from a variety of countries, eye witness accounts, scripture where dragon like creatures are mentioned, and even dragon slaying saints. The visual drawings and photos are excellent quality and my youngest loved those even if the text was geared at more of a pre teen level. Perfect gift giving book for the young Dragon lover to read through again and again.